Wishing you all a very happy + safe holiday! aka..Pancake Tuesday. Since aprox. the 12th century this celebration marks the days preceding lent by using valuable ingredients like eggs, milk and sugar; hence cooking up pancakes or the thin pancake, the crepe. Pancakes are one of the earliest forms of bread and are served up geographically in many different ways. You can be-all-traditional with baking powder, or try prospecting with sourdough pancakes like the early pioneers. Flip’em with oatmeal or buckwheat when in Vermont; or for a Dutch style treat serve with lemon, powdered sugar and jam. Substitute the flour for cornmeal and you’ll be enjoying it as Native American speciality. Go Pollack by designing your own pancake creations with sliced apples, bananas, blueberries, strawberries, chocolate chips, chopped nuts. Place the flour and salt in a medium bowl and slowly add the milk and egg yolks, using a whisk to avoid lumps. Stir in the cream, melted butter, and vanilla. Right before making the crepes, beat the egg whites until they form soft peaks. Gradually add the sugar and continue beating until stiff peaks form. Gently fold the beaten egg whites in to the flour mixture. Preheat a 6-inch nonstick skillet & spray with vegetable spray. When the pan is very hot, pour in 2 Tablespoons of the batter and swirl it around. Cook 1 minute, turn and cook another minute on the other side. Remove and set aside. Continue making crepes with remaining batter. Spread two teaspoon of raspberry jam in the middle of each crepe, add a few mixed berries. 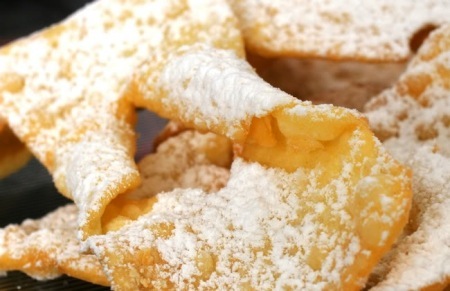 Roll up and sprinkle with confectioners’ sugar. Serve two crepes per serving with a dollop of fresh whipped cream and top off the crepes with the fresh mint leaves. Here's a fun all-in-one-pan kind of breakfast combo - the egg in the hole, aka egg in a basket or cowboy breakfast, amongst other names. 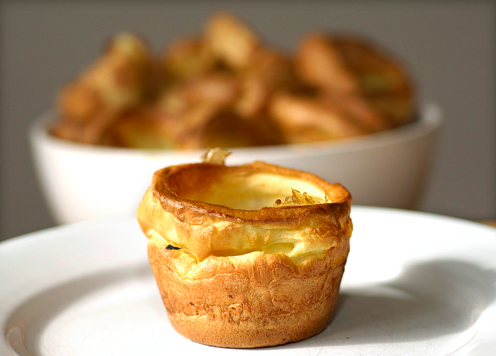 I enjoyed this growing up during family camping trips, but we called it "toad in a hole", which is quite different than the English dish with the same name of sausage links in Yorkshire pudding. All you need here is one slice of good bread + one good *pastured egg. Make a hole in the center of the bread. Add a small amount of butter, olive oil or a little fat from cooked bacon or breakfast sausage in a pre-heated egg pan. Crack an egg in the center of the hole, cook one minute and flip (or turn with a spatula). Cook both sides. Top with fresh herbs such as chives, thyme & parsley. Serve immediately, toad optional!